Sparkling wine is the perfect party drink. We’ve picked our selection of the best bottles of affordable fizz for this Christmas and New Year’s Eve. Wow wow wow. For the money, this Champagne is exquisite. An absolute bargain. So much wine for £19. Elegant, fine, crisp, intense. Buy some. This Champagne spends 30-36 months in the bottle during the second fermentation, which is longer than the average for Champagne. The Chardonnay grapes come from Premier and Grand Cru vineyards near Avize, and the Pinot Noir comes only from the Grand cru villages of Bouzy and Ambonnay. This is one of the best value supermarket Champagnes out there. It’s quite often on offer below £10, which is a bit of a bargain. It’s made by Champagne house Philizot & Fils, which is one of the smaller houses. Peachy, a bagful of apples, a lovely creaminess and a nice acidity. Nothing too complex about it, but that doesn’t make it less enjoyable. 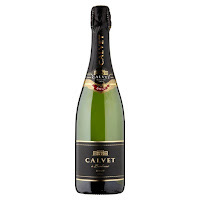 This is another good value for money champagne: it’s smooth, ripe and elegant. It also has a lovely biscuity toastiness to it, and will go very nicely with lighter pastry starters, or simply as an aperitif. It will happily stand up against some of the big bruts in the champagne world. I’ve been singing the praises of Franciacorta for a good while now, and it’s great to see a relatively inexpensive (and good) bottle in a supermarket. This Tesco Finest example is produced by Castel Faglia. The nose is lemony and doughy – reminds me of a lemon and poppyseed muffin. 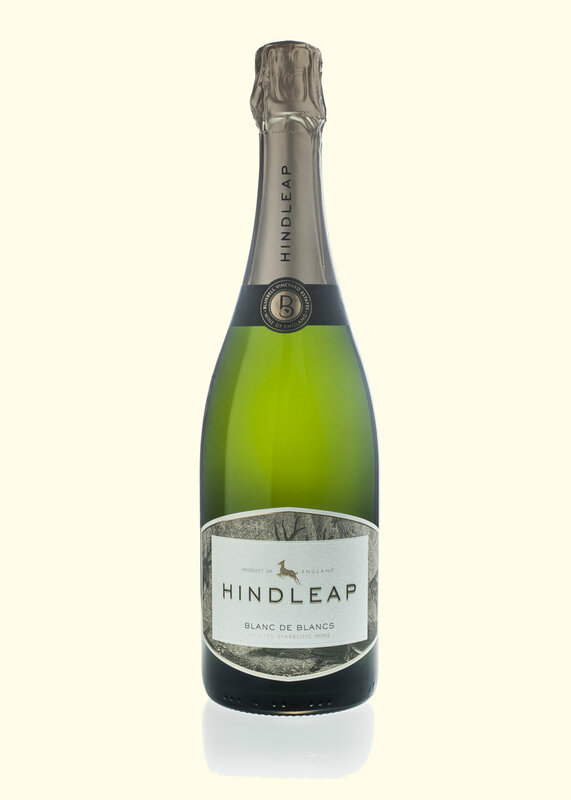 It’s got a delightful green apple note that gets a bit creamy towards the end, and soft bubbles. If you see bottle of this, do get your hands on one, especially if you haven’t yet tried Franciacorta. Floral, ripe apples, peachy tones, not too sweet, and with a refreshing acidity, a DOCG wine for this price is good value. DOCG is the highest classification of quality among Italian wines. 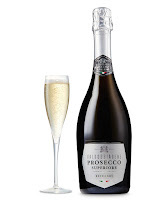 And when it comes to prosecco, a DOCG one has to be produced in the Treviso province of Veneto on the hills between the towns of Conegliano and Valdobbiadene. Specific. 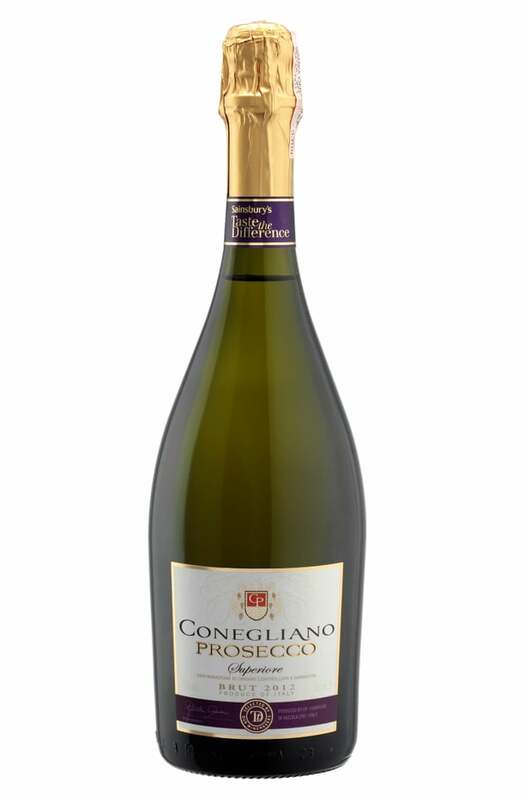 This is my go to supermarket prosecco, and has been for a few years. It’s not too sweet, has fine bubbles, and yummy floral, apricot and citrus notes. 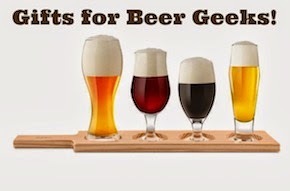 Unfortunately though, it’s rather easy to drink. I’m not sure if I should be recommending this wine or not, as it is deliciously moreish. 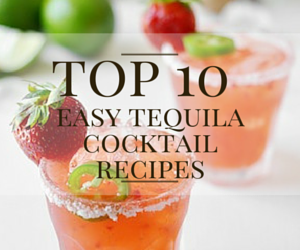 It’s fruity, aromatic, and complex, with a long finish. It’s such a lovely colour too, and much dryer than the blush pink would suggest. 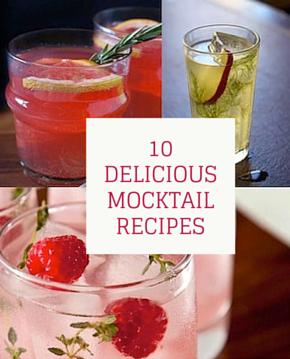 It’s perfect as both an aperitif, or to serve with dessert, especially if you’re having a lighter, fruit-based pud. This Crémant is made in the same way as a Champagne, with a second fermentation in the bottle for 11 months before disgorging and dosage. 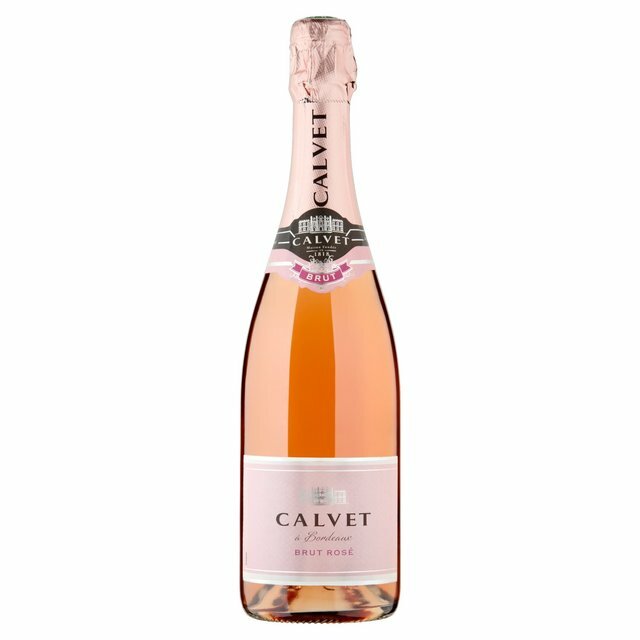 If pink isn’t your thing, Calvet’s Brut Crémant is also lovely. 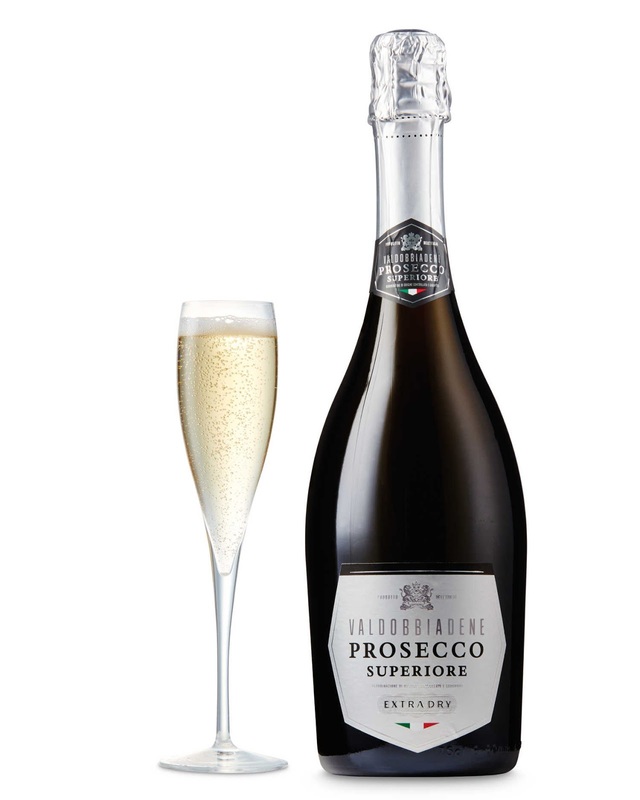 With Crémant, you’re getting a champagne-quality product at a prosecco price, and it’s a good one to try if you fancy something a little different. 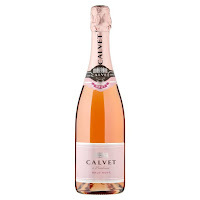 This wine is fresh and balanced, with fine bubbles, and it tastes like melon and brioche. The Brut has a second fermentation in the bottle for nine months, before disgorging and dosage. This Crémant is a little sweeter, but is still a perfect party sparkler. It’s also just as delicious in summer as in winter. It’s full of vibrant berry flavours with Galia melon. 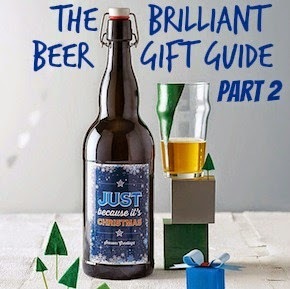 This is one to have with your smoked salmon blinis on Christmas Day morning. 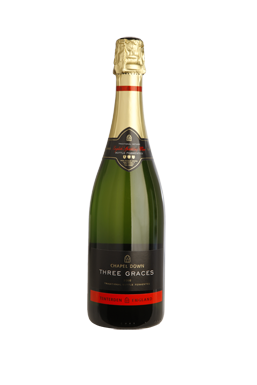 English sparkling wine is still on the pricier side, but this Greyfriars’ cuvee is surprisingly affordable at £20 a bottle. It’s bone dry, and packed with green apple and lemon flavours. On the nose, it’s minerally (it’s the only one of Greyfriars’ wines that hasn’t been oaked) with zesty citrus and green apple. And there are plenty of bubbles. There are only 11,000 bottles of this vintage, and they’re getting down to the last few, so it’s the last chance you’ll have to taste it. 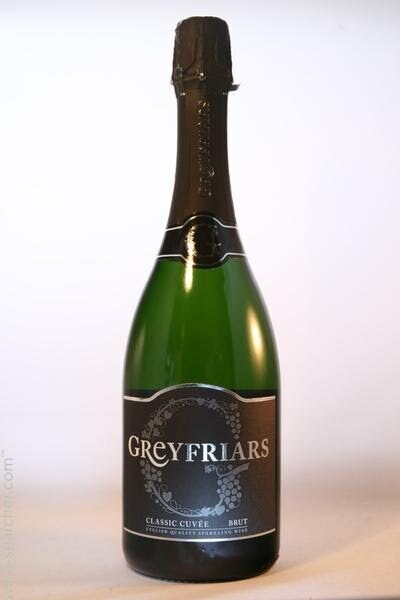 Greyfriars Sparkling Classic Cuvée 2013, £20, available from www.greyfriarsvineyard.co.uk, or at the Cellar Door Shop, off the Hog’s Back/A31 and a ten-minute frive from Guildford/Farnham. 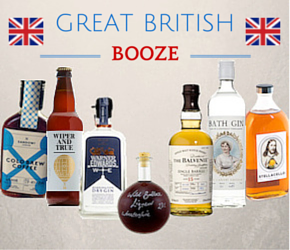 The online shop offers free cellar door collection, and free delivery on orders over £63. Bright, fine bubbles, rich in the mouth, and a very long finish. It’s super fruity, with sharp pink grapefruit, and softer melon. Perfectly delicious to drink today – and drink it I have, with fabulous fish and chips from Fosters in Alderley Edge – but it will keep for a good few years too. I’ve had this wine a few times now, and it’s one I really love. It’s great value for the price, and it’s got a lot going on. It’s got aromas of baked apple pie, and some of that rich sweetness comes through when you taste it, mixed with a crisp acidity. Smooth, fine bubbles. For me, one of the best ways that you can expand both your knowledge about wine and your wine collection is through a wine subscription. Wine subscriptions tend to work in various ways but there are a few general models: the first is one where you pay a monthly subscription fee to a wine merchant or distributor, who at an interval that you agree use the funds to buy wines that you can then have delivered or stored in reserves; the second is a subtle variation where you get a monthly box of wine in exchange for whatever subscription you pay. 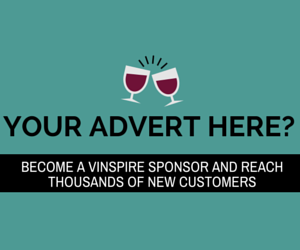 As you can probably imagine, like anything, the more money you put into the subscription the greater either the value of the wines that you buy or the volume of bottles. The real beauty for me, is that you put your hard-earned cash in the hands of real experts with often long-lasting and deep relationships with producers, and that you can take advantage of the wine merchants’ superior buying powers to get access to special wines or producers that as a lone collector you may not have access to. Obviously, the trade-off is that you don’t personally select your wines, but letting someone else make that decision can often be a relief! The Wine Society is a wonderful merchant whom I believe that every UK wine lover should be a member of. They are run as a co-operative and therefore the profits that they make our put back into the business, which often allows them to keep their prices at a very reasonable level. In fact they went about three or four years recently without putting their prices up; they have had to do so recently due to post-Brexit related currency fluctuations. Another real strength of the Wine Society is that they have been around since 1874 and as such have really well-developed relationships with producers. This translates itself to a very sustainable approach to business, which puts them at odds with supermarkets, who by-and-large use their huge demand to screw down producers to the lowest possible price in order to maximise profits. The Wine Society, however, takes a different approach realising that unless they offer a fair price to their suppliers that they may not exist in the future and that would be to everyone’s detriment. It is fair to say that I favour this approach strongly, over the supermarkets’. One of the aspects that I particularly enjoy about the Wine Society’s subscription is that I can transfer the bottles direct to their storage facilities in Stevenage, which means that I can leave the bottles in a well-looked after facility until I am ready for them. At £8 (+VAT) per case of 12 bottles, I feel that this is excellent value. I am still working on getting an area in my house with conditions that I am happy with to store wine for long periods of time, in the meantime I like the fact that I can store these bottles somewhere where they are safe and maturing nicely. 2013 “Les Hauts Jarrons” Premier Cru Savigny-les-Beaunes (Burgundy): Sat lovely and light in the glass, cherry red in colour with a hint of tawny. On the nose the primary aromas were rich, red cherry with a little touch of strawberry compote; there were also some slightly deeper, savoury aromas of bacon and leather. 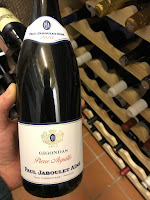 When tasted, the high acidity was notable and gave it a real bite, the dominant flavours were of red fruit. This was a very pleasant wine, that over the next five years is going to be beautiful. I’m glad I have five more bottles! 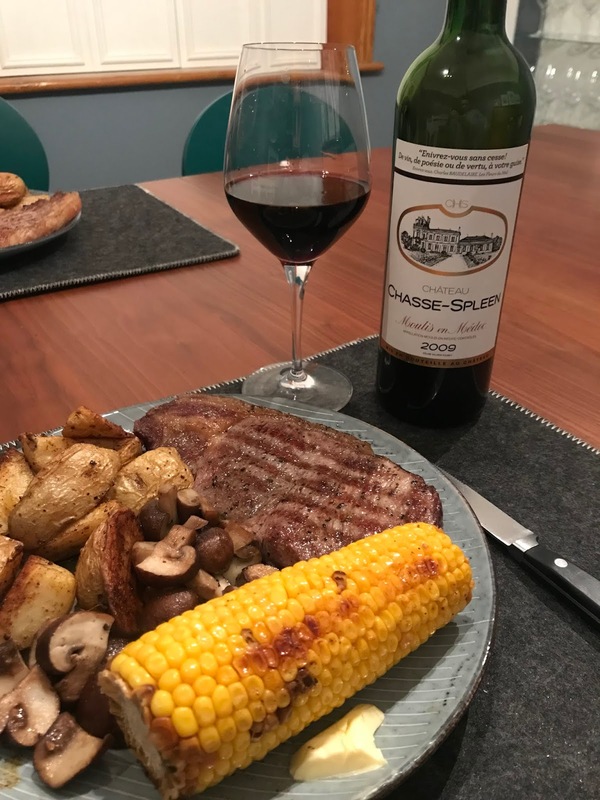 2009 Château Chasse-Spleen (Moulis en Medoc, Bordeaux): A light ruby in the glass, this had pleasant berry aromas (blackberry and black cherry) with a touch of damson about it. On tasting, this had a really decadent feel to it, soft tannins which have opened up nicely. There were notable dark fruit flavours to the wine (prunes?) and a pleasing pinch of dark chocolate. A real crowd-pleaser of a wine that is drinking very nicely indeed right now. 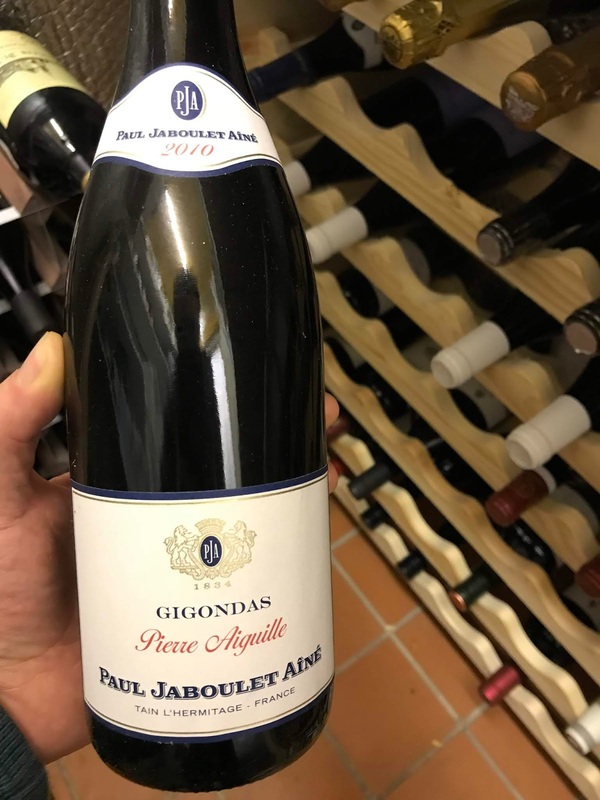 2010 Pierre Aiguille Paul Jaboulet Aine (Gigondas, Rhone): This is a robust and rich southern Rhone wine made from a blend of Grenach and Syrah. Being that little bit older it has a slightly deeper nose to it with plenty of oak-induced smoke and savoury leather notes to accompany the familiar red berry fruit aromas. On tasting, it has a noticeable weight to it, although it is nicely counter-balanced with a good acidity to the wine, which means that you don't really notice the 14.5% alcohol on the wine. 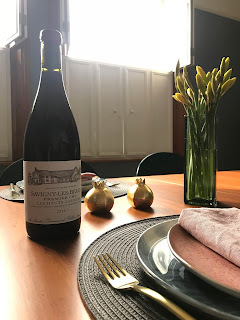 This is a really excellent wine and a timely reminder that the southern Rhone is about much more than just Chateauneuf-du-Pape. These are just a few examples of the kinds of wines that I've got in my cellar (both the ones that are in my actual house and the ones that are in storage in Stevenage). I look forward to expanding my selection over the coming months and years! 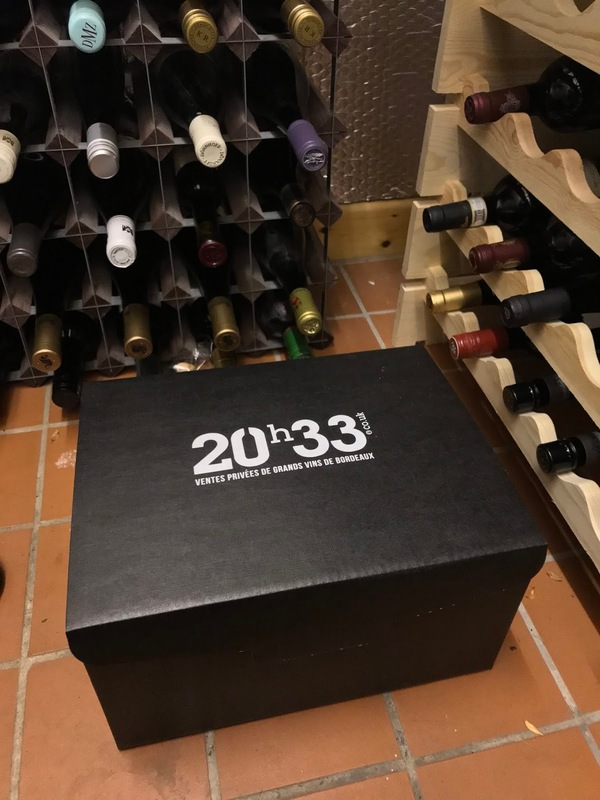 20h33 are a wine importer who specialise in wines from the Bordeaux region; in fact their whole name is a reference to Bordeaux wine - 20 in French is “vignt” which sounds very much like “vin” and 33 is the dialling code in France for Bordeaux… clever, eh?! They have a number of different subscriptions that you can opt for at different pricing levels and different calibres of wine, these range from their Discovery box (£50/month) to their Five Star box (which goes for a stonking £500/month). 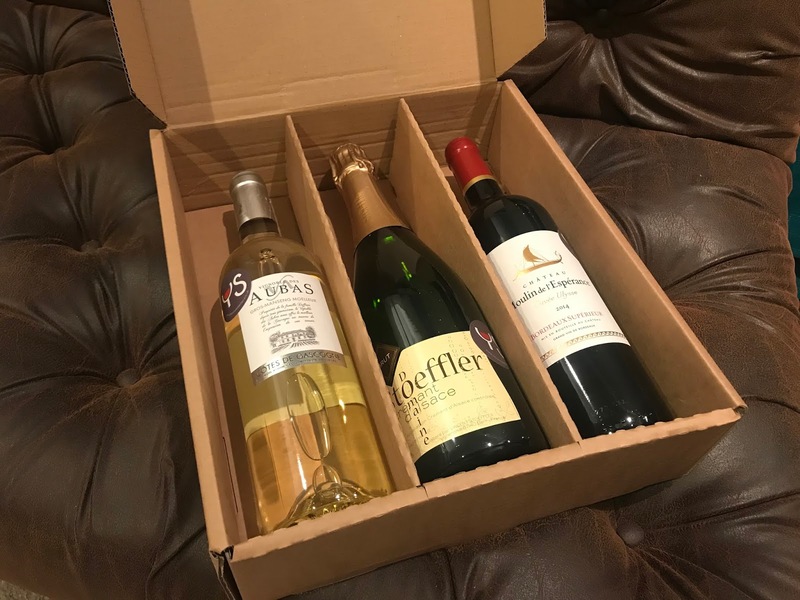 You get six wines every three months for this - I can only dream of the amazing wines that you’d be getting in the Five Star box - what a treat that would be to come home to! 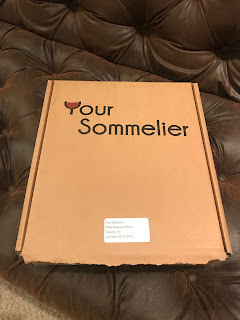 I sampled some of their wines at their “Premium” level (£100/month), which arrived in the post in a very stylish-looking black box. What I particularly enjoyed about this subscription box was that it contained a selection of wines both red and white - you don’t always fancy a rich, complex, red wine! 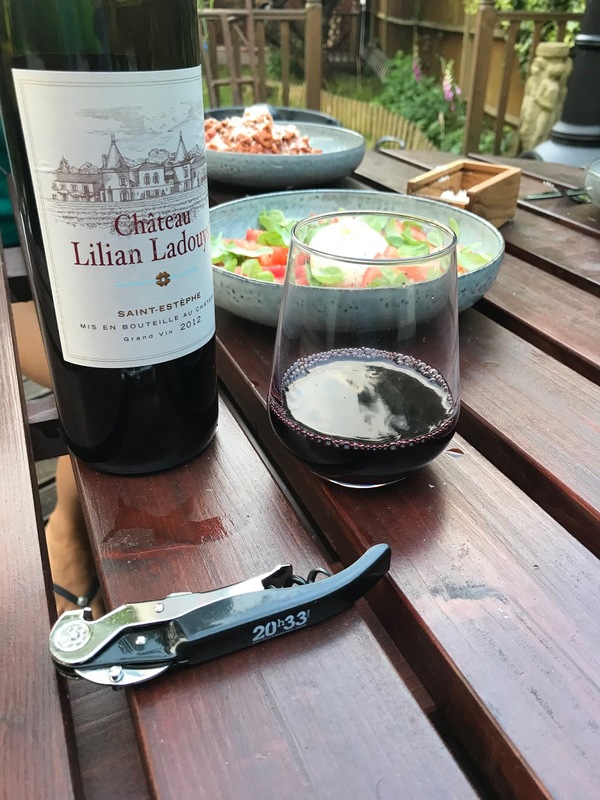 2012 Château Lilian Ladouys (Saint Estephe, Bordeaux): Had a really vibrant, rich nose with blackcurrant and blackberry flavours dominant; slightly on the jammy side, even. There was also a faint whiff of smokiness on it, which gave an indication of age and time in barrel. On tasting, the tannins were very much still there and doing their thing. This was quite an austere wine at first that had a nice mid-palate evolution that saw black fruit notes come through, without being overly sweet. A bit of a thinker of a wine. I reckon in two or three more years, this will have softened just a little more and will be absolutely delicious. 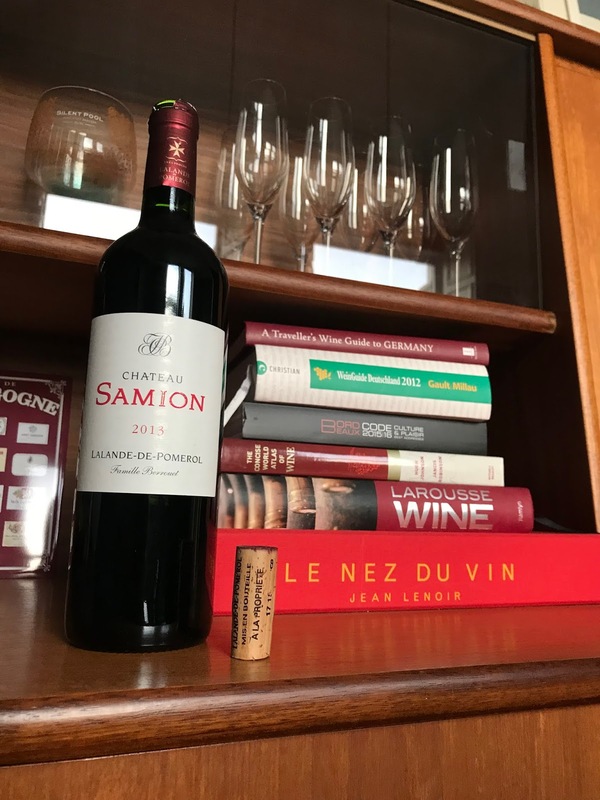 2013 Château Samion (Lalande-de-Pomerol, Bordeaux): Nice and juicy nose with bags of red fruit personality, strawberries abundant with a side-swipe of blackcurrant and damson coming through. On tasting it was more savoury in profile than I was expecting with a touch of smokey bacon coming through once it had sat in glass for a bit. Probably more developed than I was expecting for a wine of this age. Was a really good food-wine, but also crossed over as a pleasant (if not mind-blowing) sipping wine. 2011 Château Moulin De La Roquille (Cotes de Francs): Featuring a very expressive nose with notes of hawthorne and rose giving it a quite perfumed aroma. There were also primary notes of dark fruit, blueberries and damson, coming to mind. There was also a faint whiff of smoke to the wine, an indication of gentle oak use in the ageing process. On tasting it was rather rich and juicy, with notes of cassis and damson coming to the fore; I thought that perhaps it was a little flabby and needed a little more acidity to give it a little more energy. It was a very pleasing wine to drink, nonetheless. 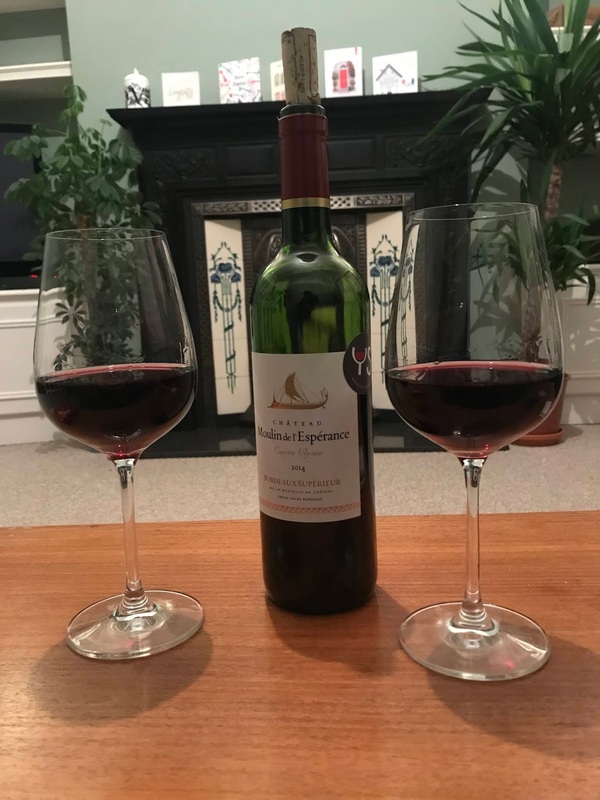 2015 “Nobody’s Perfect” (Entre Deux Mers, Bordeaux): A Muscadelle, this is an exciting wine made by Dawn Jones-Cooper using a biodynamic winemaking process. On the nose it has bags of stone fruit notes, think peaches and apricots; but with a slight hint of something tropical going on that makes it very interesting. On tasting, this is a lovely and clean wine with subtle citrus fruit notes followed by a delicious minerality that preserves the clarity of the wine. The finish is nice and long due to its wonderful balance. This is a fantastic wine and one that pairs very well with food. The premise behind Your Sommelier is that it was set up by two successful French bankers who, having settled in London, found that they felt that they couldn’t get decent French wine in the UK without paying large sums of money. To remedy this, they set up Your Sommelier which retails wine online and lets people choose between direct purchases and wine subscription boxes (the aim being to take the hassle out of wine selecting, for those people who find it a hassle). 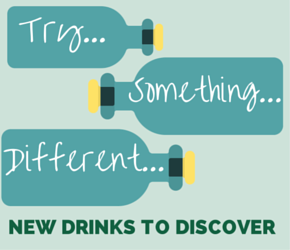 Each month you receive three wines, along with product sheets to tell you a bit more about them. I received a selection box from them (disclosure - I was sent this as a sample) that was very much focussed on a Christmas theme - it contained: some bubbles, a claret and a dessert-wine - what more do you need for a Christmas celebration?! 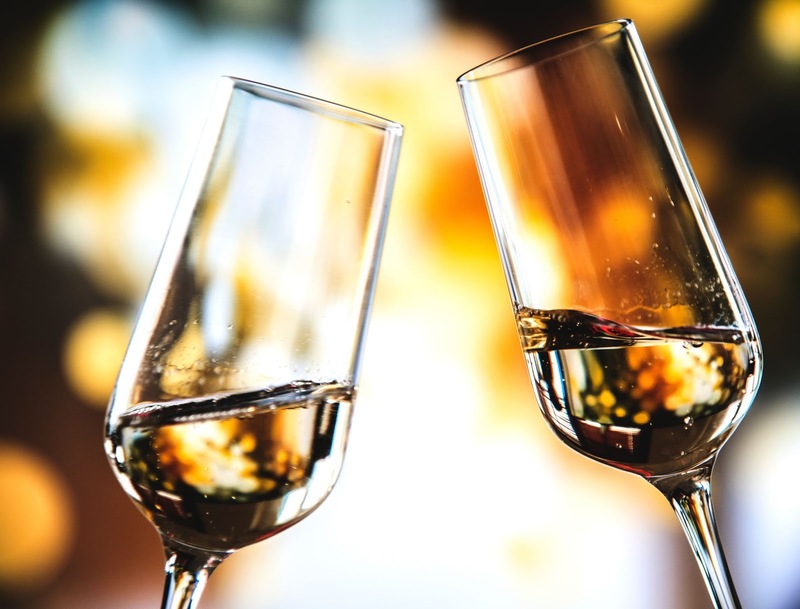 NV Domaine Stoeffler Cremant d’Alsace (Alsace): I am a big fan of cremants, as they represent tremendous value when it comes to bubbles - and I am particularly a fan of cremants from Alsace! This wine features grapes of Chardonnay, Pinot Blanc and Auxerrois - classic grapes for this region. 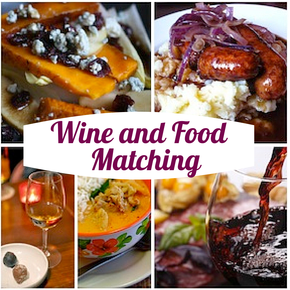 This wine has a nice mix of juicy, fruity notes (think peaches and apricots), along with a slightly creamy texture that gives the wine a decent profile. What separates this wine from Champagne is the absence of those richer, biscuity notes; but not everyone likes those! This is a very pleasant wine for toasts and aperitifs as it has such a nice clean palate. At c. £12 bottle too, it represents exceptional value! 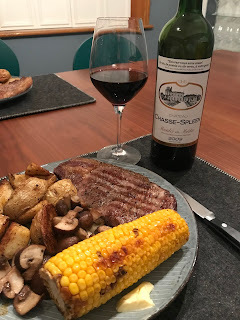 2014 Château Moulin de l’Esperance Cuvée Ulysse (Bordeaux): This was a somewhat-disappointing entry level Bordeaux. It had some decent, primary fruit notes, but not much beyond that. In terms of finish, it was all over a little quick really. Bordeaux is one of those regions where you have to spend a bit of money to get a wine worth noting and I feel that this one fell a little short of my expectations (particularly when compared against the others I have noted in this article - although admitting that you have to pay more for these wines). NV Vignoble des Aubas Gros-Mansang Moelleux (Cotes de Gascogne): This is a pleasing wine (provided, of course, that you like dessert wines. This does a good job of balancing sweet notes on the wine with decent acidity, which means that it doesn’t get too cloying. Overall it is not the most complex dessert wine that I have ever tried, most of the flavour is in the primary notes of candied pineapple and honey. There is however a decent whack of acidity on it, though, which stops it being overly cloying. Their “Discovery Box” is £36/month, whereas their “Expert Box” reaches up to £60/month (featuring wines from more renowned appellations and producers versus the Discovery Box). There you have it, a number of different options available to the budding wine connoisseur, who wants to either expand their collection or perhaps learn more about a wine region/area. 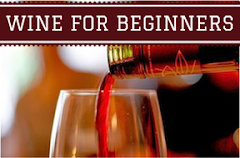 For those who can afford it, I think setting aside £50 - £100 a month and putting it in the hands of someone who knows what they are doing when it comes to buying good wine will quickly help you develop a little portfolio of wines to choose from. After all, you may have the option later on as your collection blossoms and matures to be able to get into selling some of the wines that you have in your collection (and use the proceeds to purchase some new wines?!). So, with Christmas coming up - perhaps a wine subscription could be a nice gift idea for that special wine lover in your life?! 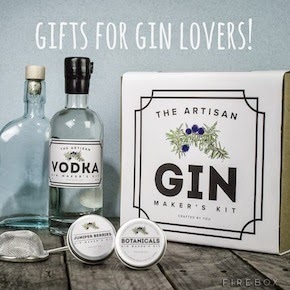 Or perhaps you can treat yourself? After all, you have been a good boy/girl this year, haven't you...?